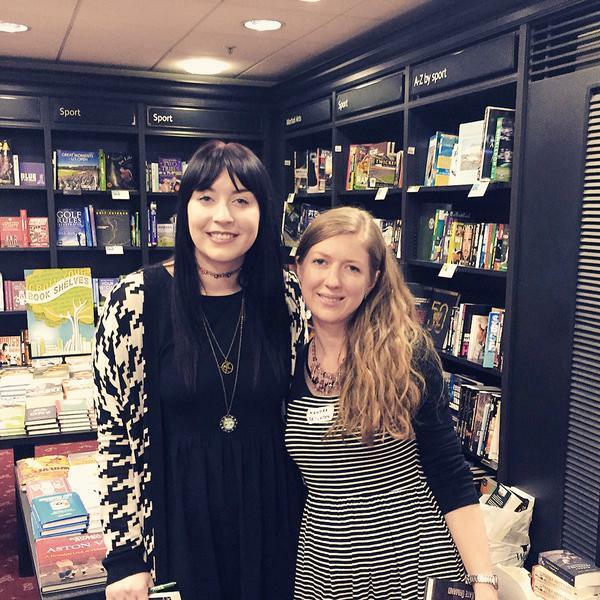 Saturday was the first UKYA Extravaganza, held in Birmingham High Street Waterstones. It was a wonderful afternoon and a huge success — as you’ll know if you’ve seen the buzz on Twitter! 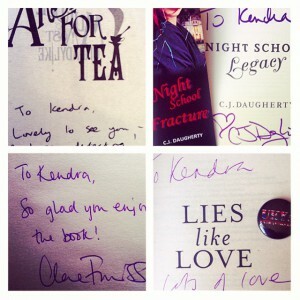 Authors Kerry Drewery and Emma Pass deserve many pats on the back for coming up with the idea and working so hard on it. 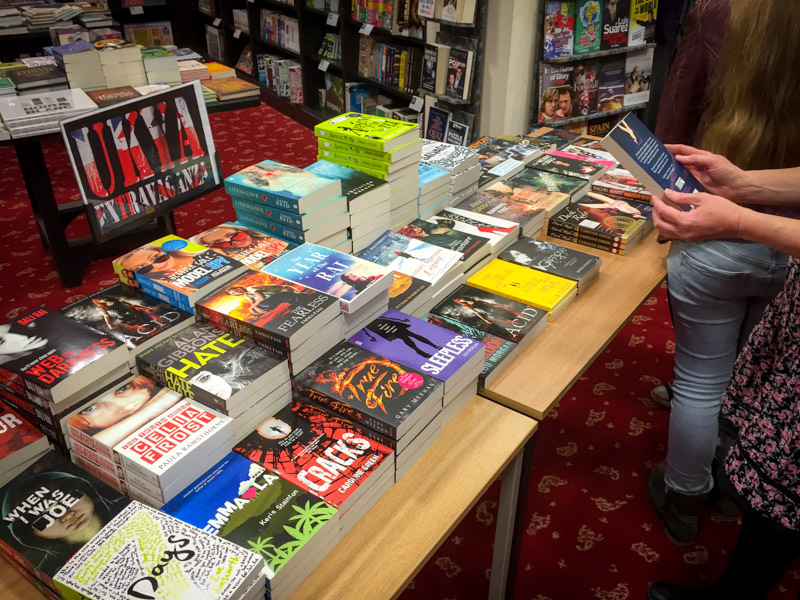 UKYA Extravaganza authors — and that’s only half of us! 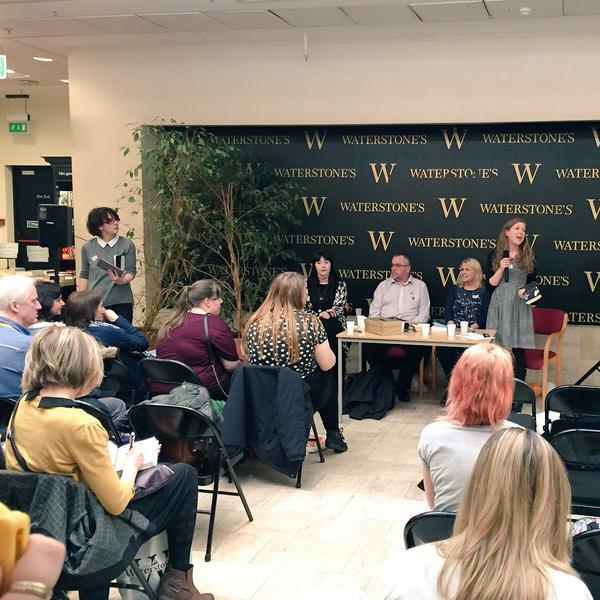 It was a jam-packed couple of hours, with thirty-four authors on the programme (including me) and countless more authors, bloggers, and YA fans. The set-up worked really well — there was a seated area where the audience could listen to each author describe their book, then pitch them questions in a mini-Q&A panel; if you fancied a break from that, you could mingle, eat cake, pick up swag, and get books signed. Other than my own panel time, I spent most of the event chatting. It was great to catch up with writers and readers I’ve met before, meet ‘online’ friends in real life, and get to know a whole bunch of new people too. 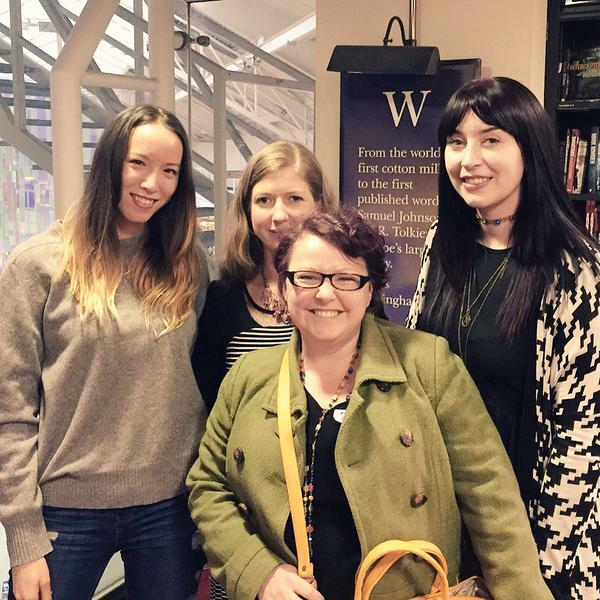 One of the best things about the event was that everyone was excited about being there, passionate about YA, and everyone was so very lovely — as bookish people tend to be. 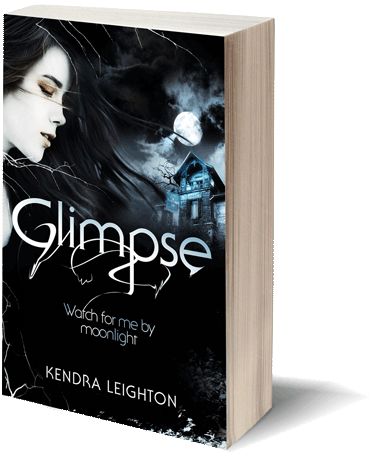 Highlights for me were signing autograph books and copies of Glimpse, and getting books signed by other authors. My TBR list grew twice as long as I heard about other UKYA books I’d love to read, such as Christina Banach’s Minty, Anna McKerrow’s Crow Moon, and Rhian Ivory’s The Boy Who Drew The Future. 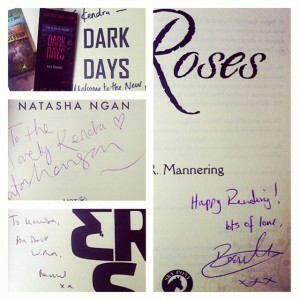 The only downside to the event was that I was too busy to take many photos, so thank you to author Kate Ormand for letting me pinch a few from her Twitter feed! You can read Kate’s write-up of the event here. Also make sure to check out Tales of Yesterday‘s write-up (which includes videos — Michelle was an absolute star, recording everything to do with the Extravaganza), the YA Birmingham blog, and Write For Real. Very happy that there are future UKYA Extravaganzas in the works, with the next one scheduled for October in Nottingham.